Featuring Voice, One-Touch and SMARTCONTROL™ TechnologyRCA Voice Control Remote: All You Have to Do is Say the Word! Everyone I know desires to have one remote which controls everything in their home entertainment systems. Audiovox has taken the universal remote to the next level with Voice, One-Touch and SMARTCONTROL. The voice feature will be very interesting to try out when it comes to dealing with different pitched voices, room noise, and durability. With estimated prices to be around $39.99 price range, it will be in an affordable range almost all consumers. Adding some of your own music to your backyard patio with the a clean and classy look without the hassle of running speaker wire. The new “Main Street” line from Audiovox are designed to blend into your outdoor furniture and decor with a classy look unlike other outdoor speakers which are designed to look more like stones. 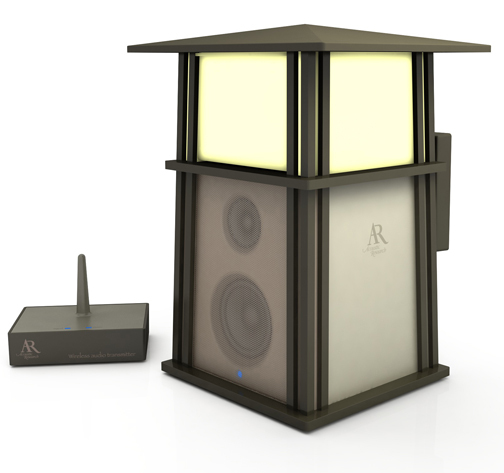 The MSRP for the Acoutic Research “Main Street” speaker line $99 to $129. 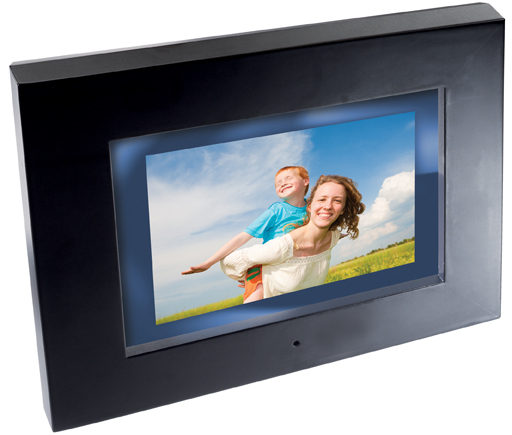 The new “Build Their Own Frame,” line now allow consumers to now attach their own picture frame to a digital picture frame with the new Décor Series. So with this option to customize the frame to the room it is sitting, there should be no worry of returning the picture frame to the store because there isn’t a room which the décor fits. The MSRP for these frame are over the $100 range, these won’t be in the “Cheap gift” range, but for the ability to customize the frame in order to have it fit the room may be worth it for some. 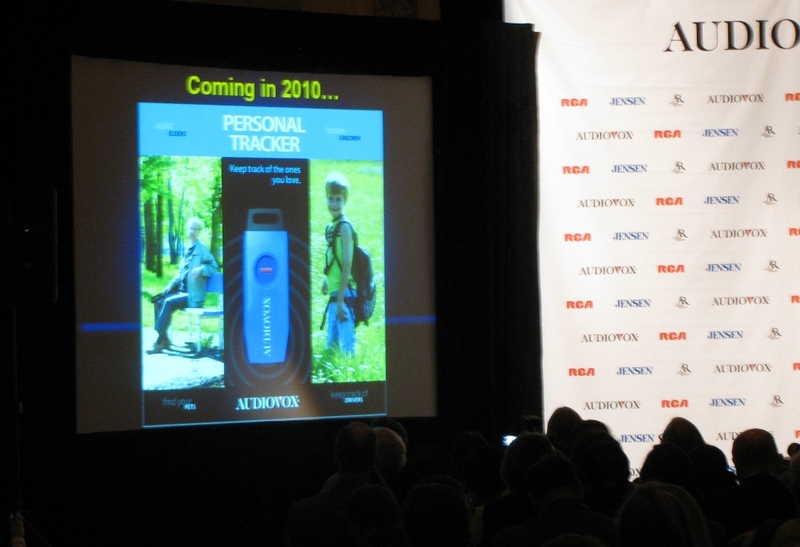 One product that was announced for 2010 but was not in the press kit or even on Audiovox website was the personal tracker. This small keyfob (thumb drive size) personal location device is unique tool for those who want to keep track of a something such as a car or someone like a young child. If this interests you, keep an eye on Audiovox.com during the 2010 calendar year for the release.